This year, March 20th is officially the first day of spring! After the long, wet Virginia winter, Williamsburg seems to be reborn year after year with new life and color. It’s time to get outside and enjoy all that this season has to offer. Here are our top 10 reasons to come and visit! 1. New Specials and the Return of Live Music: Local restaurants have spring specials filling their menus, while outdoor patios across Williamsburg are about to come alive with new (and recurring) sights and sounds. Start spring off right at The Trellis this weekend for their Spring Fish Fry! 2. 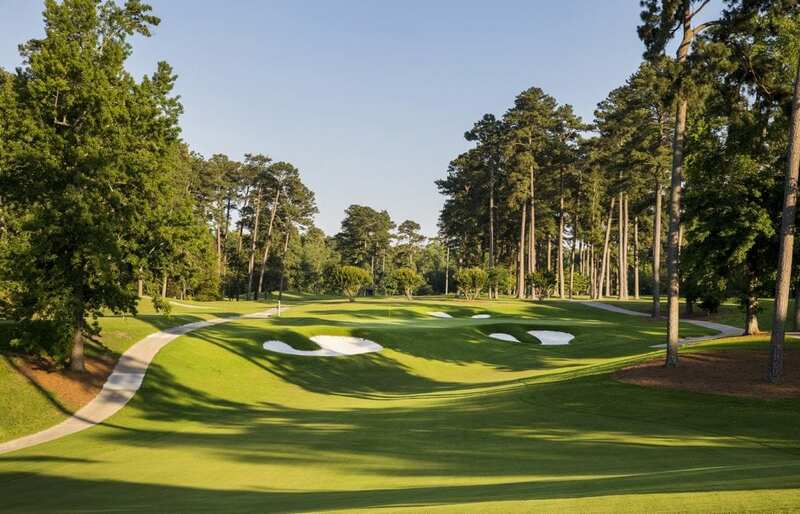 Get out to the Course: Williamsburg boasts some of the most beautiful golf courses in the area, from Kingsmill to Kiskiack to the Golden Horseshoe. Click here to read all about them! 3. Buy Fresh and Local: The return of the Williamsburg Farmers Market is always a beautiful sight to behold, and is a sure sign of the shift in season. You can stroll from stall to stall spying fresh produce, pastry, flowers, honey, meat, even kombucha! It’s truly the perfect way to spend a Saturday morning. 4. Spend the Holiday with the Family: Have any little ones? Join in for the annual Great Easter Egg Hunt at Lee Hall Mansion for a day of family fun, all while exploring the historic grounds! 5. Stop and smell the Grandiflora: It’s around this time of year that Williamsburg starts blooming again, and aren’t we ready for it! There are so many beautiful natural plants flowering during this season, all you have to do is walk around. Click here to read about some of the local blooms. 6. Take Your Lunch to the Lawn: There are few ways to enjoy the spring weather better than by embracing the picnic. With so many beautiful views, why not lay out a blanket and take your food outdoors? Our suggestion: the Governor’s Palace Green! 7. Have a Drink (or two): With several local breweries, it’s no surprise to see this new addition to the festival lineup. As part of Culture Fix’s Scrumptious Weekend, you can enjoy the last Sunday in April at the 2019 Williamsburg Craft Beer Festival. 8. 76: That number is the average temperature across the entire spring season in Williamsburg. Need we say more? 9. Get Ready to Frolic: Have you ever wanted to experience a real garden party? Now’s your chance! 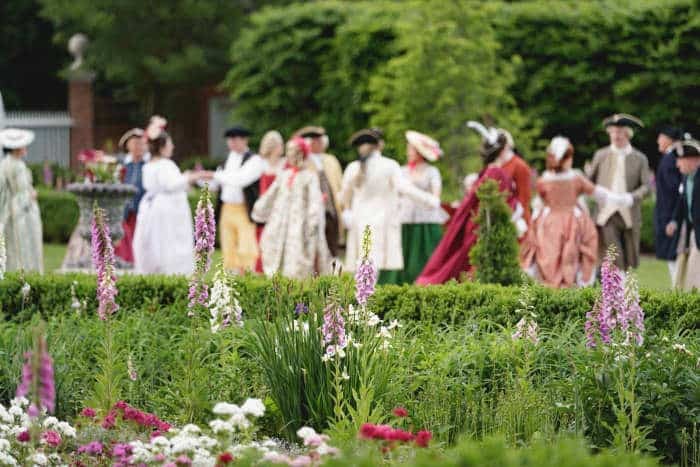 On May 3rd you can attend Mr. Jefferson’s Palace Garden Party, an immersive evening of drinks, dancing, theatrics, performances, and fireworks. Dust off your petticoats and grab your fan! 10. Seek a New Thrill: The ever-popular Busch Gardens theme park opens this Saturday, March 23rd, and boasts a new giant swing ride! It’s a must-see Williamsburg attraction, and with good reason! Well there you have it, your inspiration to visit and enjoy Williamsburg this spring season, though there are always new adventures and recommendations to be made every year! And remember, if you need a place to stay, the Fife and Drum Inn is right in the heart of town and is the perfect way to enjoy this beautiful historic city! What is your favorite way to spend springtime in Williamsburg? Let us know below!